While most of us spent the weekend taking in parades and multicolor fireworks displays, Pete Frank spent the weekend in search of multi-part harmony. 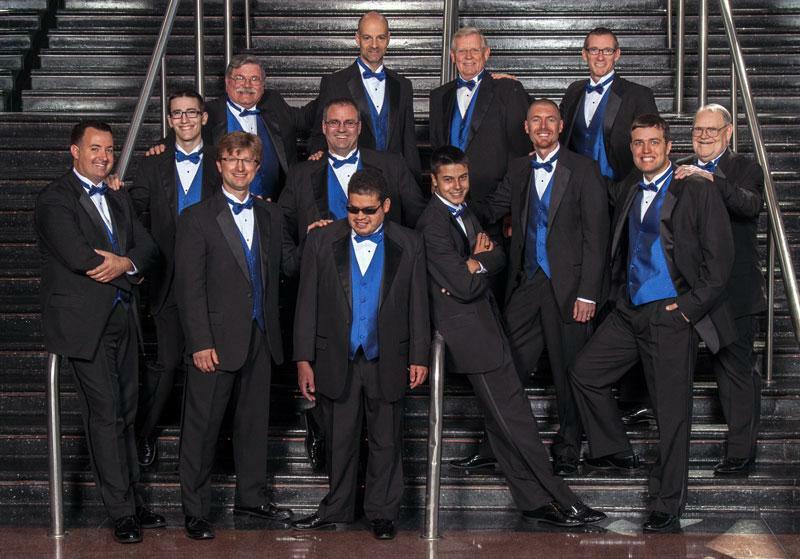 He's the musical director of the Lake Erie Sound, a barbershop chorus that rehearses at the Jefferson Education Society and performs throughout the region, and today is the final day of competition at the international convention of the Barbershop Harmony Society in Las Vegas. Fifty quartets and thirty choruses compete in the competition. What began as an American tradition to entertain gentlemen in the barber shop pre-radio days, has become a truly international event with competitive groups from around the world, and Sweden in particular. For days, Frank has spent his nights locked in his home office, watching the HD stream of the worlds best barbershop groups while tracking score reports posted online by convention officials. To say the least, he's committed. "I've been watching on various mobile devices. Everywhere I go I have to make sure wifi is available," says Frank. "Friday I came home and my wife asked if I was sitting in my truck listening to barbershop, and I was. A group had just started and I had to sit there and listen. I couldn't leave. "Saturday night I had some friends over. We watched the competition, followed the score sheets and discussed each of the groups, penalties assessed. It was the thing to watch. We could be the ESPN of barbershop." If you're thinking that barbershop singing couldn't be competitive enough or entertaining enough to hold your attention for a holiday weekend, check out American Harmony. The documentary follows barbershop royalty as they duke it out with the new kids on the block (not those NKOTB) during one of the annual competitions. If you thought watching the spelling bee kids pass out under the pressure of an eight-syllable word made for compelling TV, wait until you see a twenty-something tenor fall short of his high note. The genre recently received a cultural boost when late night TV host Jimmy Fallon and his barbershop quartet serenaded piano man Billy Joel at Madison Square Garden for Joel's birthday in May. But these kinds of gimmicky performances are polarizing because they reinforce stereotypes about barbershop. There's also a resistance to the modernization of barbershop selections, like the group at this year's convention that sang a version of Michael Jackson's Thriller. "We want new people to experience barbershop music, Frank says. "But there's also a movement within the barbershop world to preserve traditional music." The two missions often exist in discord. 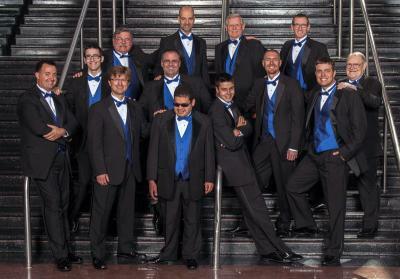 The Barbershop Harmony Society convention will take place in Pittsburgh next year. So if you've longed for more barbershop chorus in your life, or like Pete Frank, you've spent the last week basking in the reflected glory of the Barbershop Harmony Society convention webcast, you've still got time to get your act together.